David Le/Gloucester Daily Times. 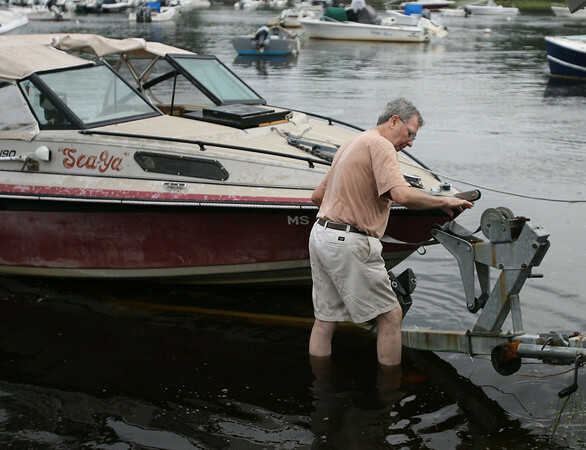 Brian Miller, of Manchester, tightly secures his boat to the trailer before towing his boat out of Manchester Harbor on Thursday afternoon in preparation for Hurricane Irene. 8/25/11.